Most of us Mac users have a tendency of using our Mac as is, with little configuration. This is the beauty of Mac OS X, for the average user there isn’t much you have to do in terms of the configuration out of the box. However, if you could speed up your browsing experience in 5 to 15 minutes, the majority of us would. 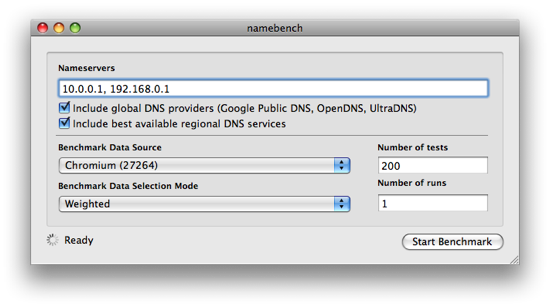 That’s exactly what Namebench, a open-source DNS benchmark utility started as 20% project at Google, claims to do. 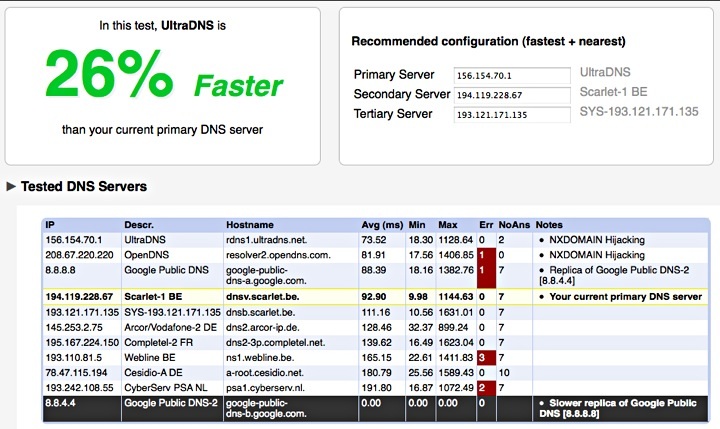 The basic idea of the utility is to find the fastest DNS servers, which the majority of average users never bother to do. If you have already done this, you obviously wont see much of an improvement. However, if you haven’t, and you’re looking for an easy way to quickly increase your browsing speed, you can get Namebench from Google code here. Previous Entry: Apple Sues HTC- Is HTC Copying the iPhone?